Please check below for commonly asked questions. If you have a question and don’t see it listed below, please feel free to reach us by phone or email. Want to get started right now? Go to our Apply Online page and start right away! Want to talk to someone? Simply call 877-978-2602 or write to us via the Request Information page. What are the benefits I will be offered as an employee of ATC Healthcare? What happens if I don’t like my assignment? You do not have to accept the assignment. We will call you back with other needs. We do ask that once you commit to an assignment that you fulfill the terms of that assignment, including staying for the duration of your shift or contract. What kind of experience do I need to be an effective temporary employee? To succeed as a temporary employee, you must have the experience, maturity and discipline to step into an unfamiliar job and setting, immediately assume a workload, and develop relationships with the other healthcare professionals in your assigned facility. In addition, ATC Healthcare Services will require that you have a specified number of years of experience in your chosen field since the company you’re assigned to is already short-staffed and supervision may be minimal. What quality assurance measures does ATC Healthcare follow? ATC Healthcare Services maintains current, complete personnel files for all employees that meet state, federal, OSHA and JCAHO requirements. If you need additional information about an employee prior to or during a survey, we can provide the requested information promptly. Our shifts vary depending on the facility. The majority of our shifts are 8, 10, or 12 hours. What types of requirements exist to become a Healthcare Associate with ATC Healthcare Services? We are proud of relationships we build with our clients and our professionals. We want to provide only the most qualified candidates, so that you can be proud to be associated with ATC Healthcare. Because of that commitment, we have a hiring process to help us meet that goal. Each candidate completes a comprehensive application and interview. Professional references are checked through their two most recent employers. Each individual’s license, CPR and other certifications are verified. Each candidate must have a minimum of one-year of experience in their specialty unless otherwise specified by the facility. Each candidate must provide proof of current health record and annual proof of blood borne pathogens training and immunization. Each candidate’s ability to complete the tasks required in the job descriptions will be evaluated by skills checklists and testing programs. Our candidates may be required to permit us to perform background checks and drug testing. Which healthcare jobs does ATC Healthcare staff? ATC Healthcare Services staffs a broad range of healthcare job opportunities. Registered Nurse (RN), License Practical Nurse (LPN), Certified Nurse Assistant (CNA) jobs, as well as a variety of therapy and allied health positions are available. If you want to find out if ATC has a healthcare opportunity for you, contact us today! Why should I work with a staffing firm? 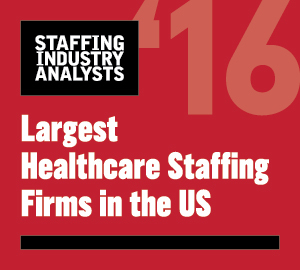 Typically staffing firm employees earn more money than with traditional employment. There are also many other employment advantages, like being in control of your own schedule, and working as often or as infrequently as you want. You also can gain clinical experience in a variety of settings. Another nice advantage is that you can pick up per diem shifts to supplement a full time job. Why should I work with ATC Healthcare Services rather than directly for a medical facility? In short, the answer is flexibility. When you work with ATC Healthcare Services, you have the option to work per diem shifts, take a local contract that’s four weeks or more, or explore the country with a travel assignment. Plus, you get to choose when and where you want to work. And as an ATC Healthcare Associate, you’ll earn some of the highest pay rates in the industry and receive excellent benefits. So the question becomes, why would you want to work with anyone else? Will I get the assignments I want? You will be offered every assignment that matches your qualifications, and you can decide whether you want to accept the assignment.